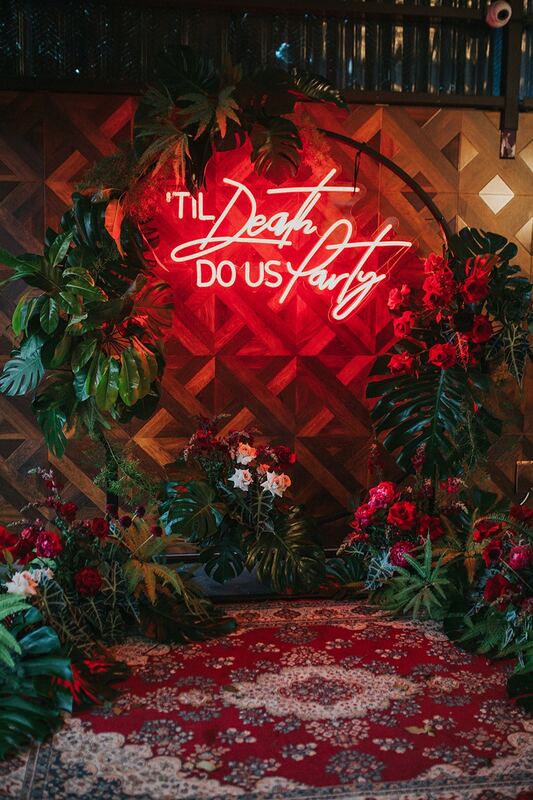 A dark and moody palette of red, blue, black and gold delivers the drama for this lush modern wedding inspiration. 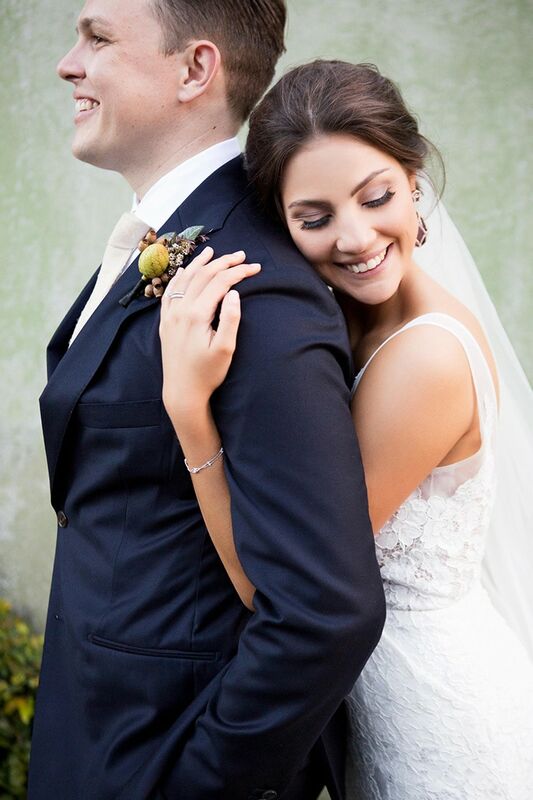 Set in an eclectic urban space, it’s perfect for the unconventional couple! 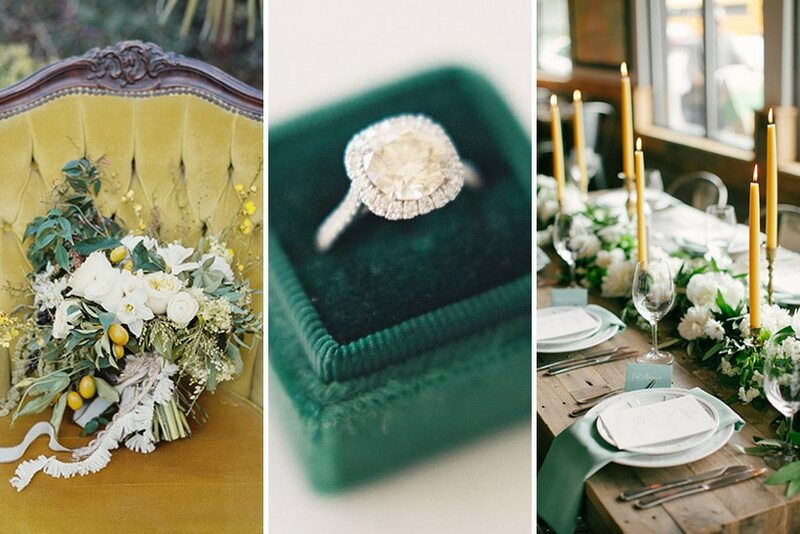 From a million wedding ideas to one! 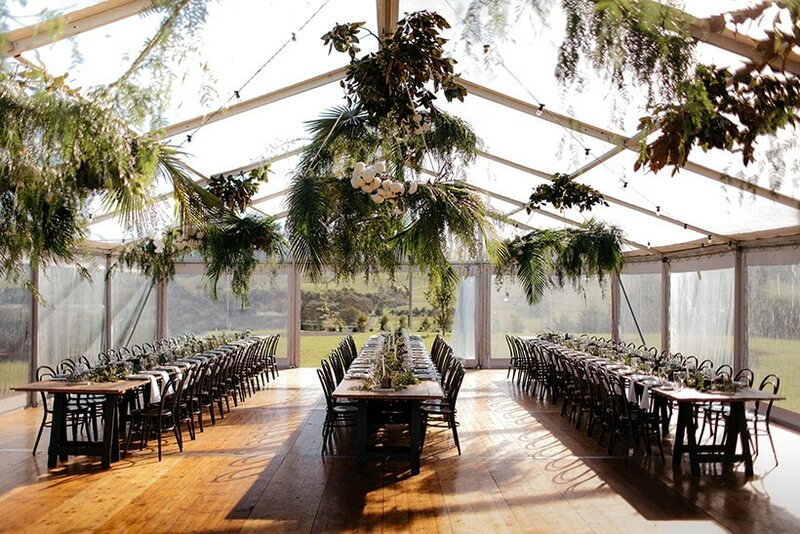 With our venue confirmed, it was time to start thinking about how our wedding would look and feel! You’d think I’d have a Pinterest board ready and waiting for the moment a ring hit my finger, but I hated the idea of having everything planned out only to *insert groom* when the time came. Read More about From a million wedding ideas to one! 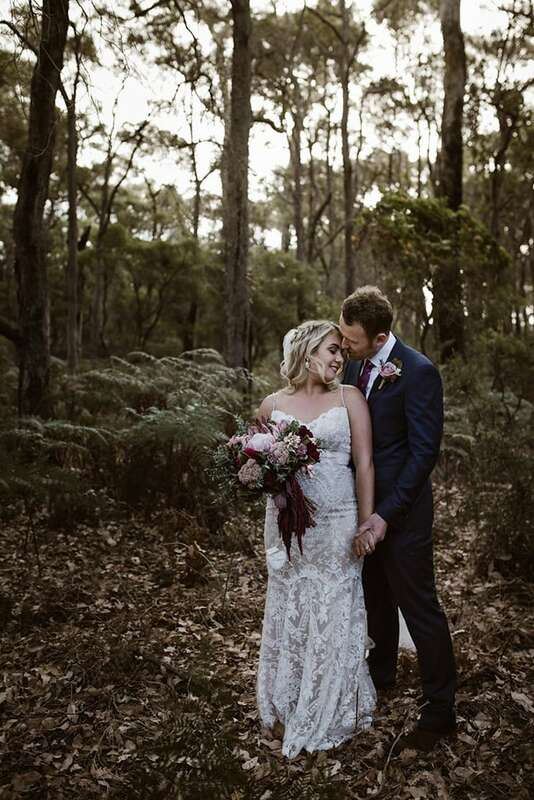 Taking inspiration from a relaxed celebration they’d attended in rural France, Giovanna and Chris planned their outdoor wedding at a winery where good food, wine and music flowed! 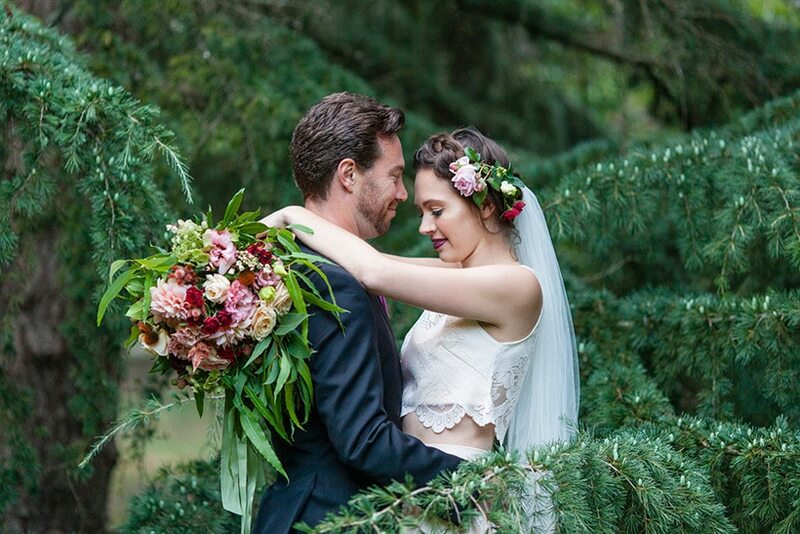 Their romantic ceremony adorned with rich pink and red blooms was followed by canapes, lawn games and long table dining under draped festoons. 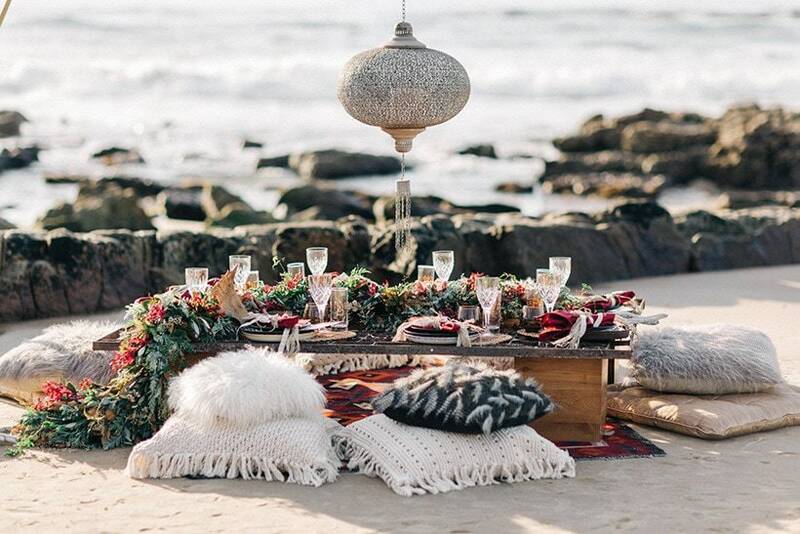 Splash Events are a Sunshine Coast wedding styling and hire company with an incredible eye for detail and exclusive decor to match! 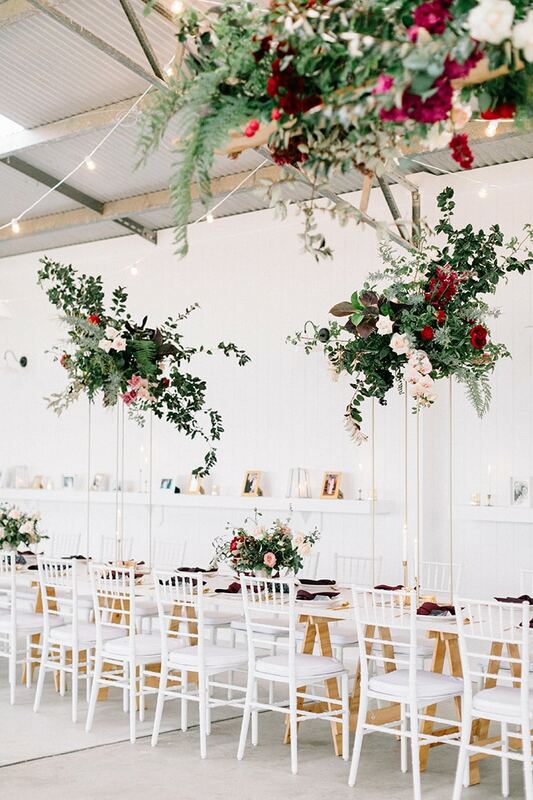 Whether you’re dreaming of a boho beach ceremony, rustic garden party or modern marquee reception, they’ll help you find your wedding day style and create an unforgettable celebration. 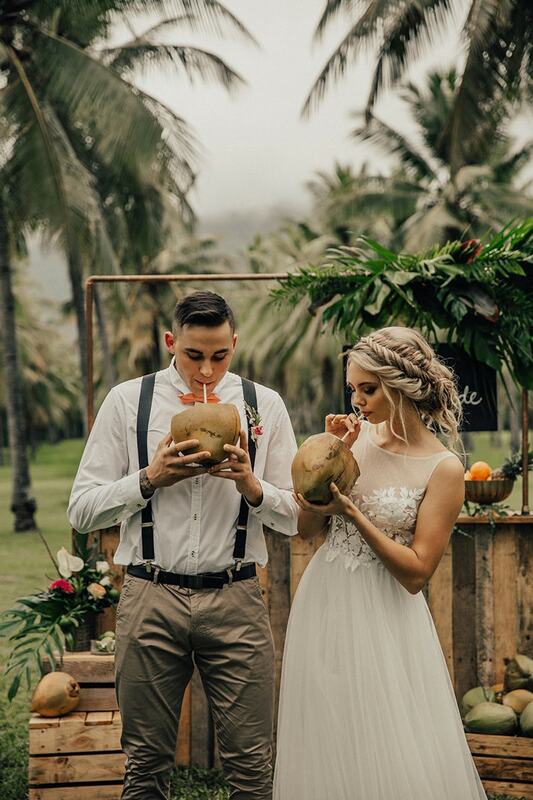 If your dream is to feel like the only two people in the world on your wedding day, this tropical elopement inspiration is a beautiful place to start. 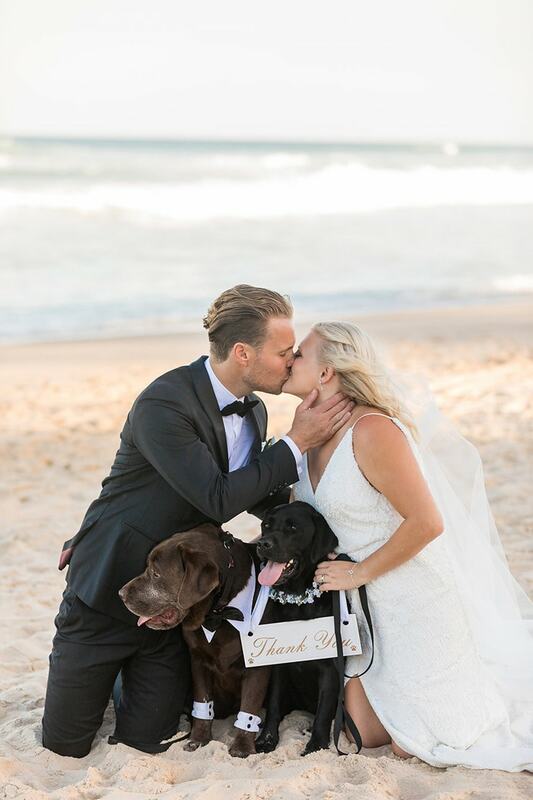 Just you and your love exchanging vows with sweeping coastal views, a romantic beach picnic and bar stocked with coconut cocktails. Divine!